Love Wind Waker? Put Your Money Where Your Heart Is. 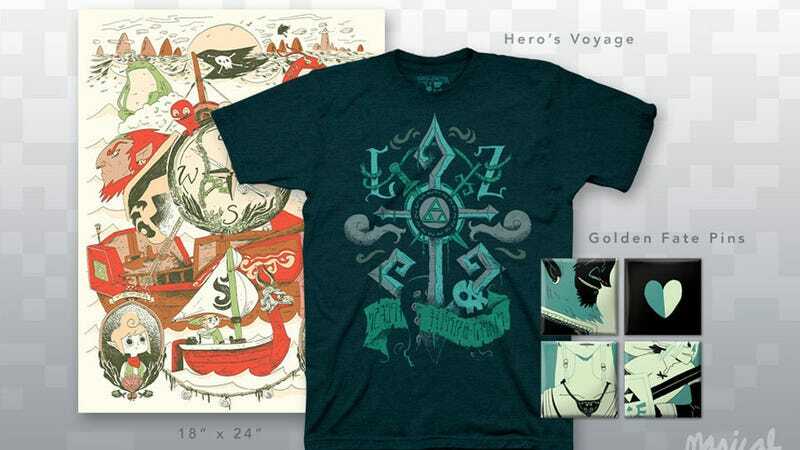 The delightful Zac Gorman, who must be a good person if he loves Wind Waker this damn much, has come up with both a t-shirt and a poster paying tribute to Nintendo's post-apocalyptic high seas adventure. They both feature different pieces of art, and are available from his store either individually or as part of a package deal. There's my Christmas wish list sorted. And it's only October!